Niko Herlin, Vikki Leroux & Ines Seidel 2009. Trend Pulse. 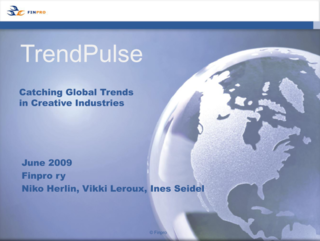 Catching Global Trends in Creative Industries. Finpro 2009.